Cook's Garden Favorite. The small, robust green heads are perfect for individual salads, and its firm upright habit makes it great for sandwiches as well. Little Gem is the one to grow for Hearts of Romaine. Lettuce, Little Gem is rated 2.7 out of 5 by 6. 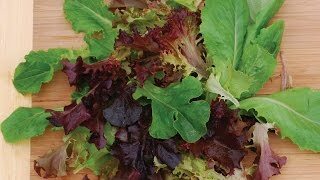 Rated 1 out of 5 by dismalhiker from Failed to germinate I sowed 50 cells with five different types of lettuce (including other lettuce types from Burpee). The Little Gem was the only one that failed to germinate. The package was within 'sell-by' date and kept dry prior to planting. Rated 3 out of 5 by Lmali from Mediocre taste, slow growing I was taken in by Burpee's description of a great tasting, quick growing, heading lettuce. Germination was excellent, I'll give it that much, and extremely slow to bolt (none of mine ever did, even in the hottest part of summer). Other than that....the taste was ok but nothing special, and ever so slightly bitter. But that may have been in part because despite being planted in early April, and being one of the first veggies to sprout in the garden, I had to leave them in the ground all summer long to get them to even begin to head up. PSH to 55 days. Not going to happen. I took the attached picture in mid August, which is FOUR MONTHS after planting them, and they've still barely begun to head up and look nothing like Burpee's photo. I'll plant the rest of the packet just to use them up and harvest them as baby greens next year, but then I doubt I'll buy this type again. Rated 5 out of 5 by Phoebe J from beautiful,compact tasty lettuce ! I have grown this now for 2 years,this year with seeds from last year ! no problem with germination or growth. Rated 1 out of 5 by qwert from zero germination This was the only lettuce of the 5 kinds planted that did not germinate. Rated 1 out of 5 by Speedgeek from Disappointed I bought this because I wanted a fast growing lettuce and the maturity is advertised as 50-55 days onthe Burpee website. When I received the product, the packet says 70-75. That's a 3 week difference! Rated 5 out of 5 by Southern Growgirl from Love this lettuce! 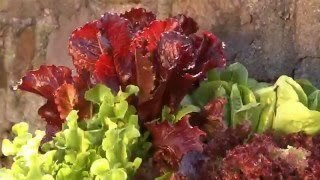 My first truly successful lettuce crop! Great flavor, texture, and bug free!